Oil is cleaned off a bird at a animal rehabilitation center following the 2010 oil spill near Marshall, Michigan. The largest inland spill in U.S. history originated from Enbridge's ruptured Line 6B. Click image to enlarge. A series of studies on the vulnerability of transporting energy from Canada to the United States – the newest from the National Research Council and separate earlier assessments by two respected national environmental organizations – reach sharply differing conclusions about the safety of shipping heavy oil by pipeline from Alberta to American refineries. The three studies focus on moving diluted bitumen, a thick form of heavy oil mined from tar sands in Alberta, Canada, that is mixed with chemicals and solvents to convert it to a liquid that can flow through a pipeline. A number of recent serious ruptures and leaks in U.S. pipelines that transport diluted bitumen, among them a spill in Arkansas earlier this year and a much larger rupture in Michigan in 2010 that contaminated the Kalamazoo River, have stirred concern that the compound is more corrosive and difficult to move than conventional crude oil. The sharply varying findings form a new chapter in the powerful narrative of hydrocarbon development that is unfolding across North America, which is experiencing the most profound expansion in oil and natural gas production in generations. New technology to identify and tap unconventional sources of fuel in the continent’s deep shale geologic formations, and from oil-saturated sands in Canada, have yielded vast and unexpected new supplies of liquid fuels. The surge of oil and natural gas liquids is prompting the construction of a rapidly expanding network of pipelines and refineries to transport, process, and ultimately ship the fuel to national and overseas markets. The United States is moving closer than it has in half a century to energy independence, producing tens of thousands of new jobs, and strengthening the economies of states in almost every region of the country. But the pace of hydrocarbon development is moving much faster than the capacity of public interest organizations, universities, and the state and federal governments to conduct research to understand the risks to water, air, land, and health. The findings appear to contradict earlier reports from two prominent environmental groups—the Natural Resources Defense Council (NRDC) and the National Wildlife Federation (NWF)—that raised warnings about the potential hazard of spills or leaks. The NRDC study, published two years ago, concluded the peanut butter-thick dilbit contains 15 to 20 times higher acid concentrations than conventional crude oil, five to 10 times as much sulfur, high concentrations of chloride salts, and higher concentrations of abrasive quartz sand particles. “This combination of chemical corrosion and physical abrasion can dramatically increase the rate of pipeline deterioration,” the NRDC report says. 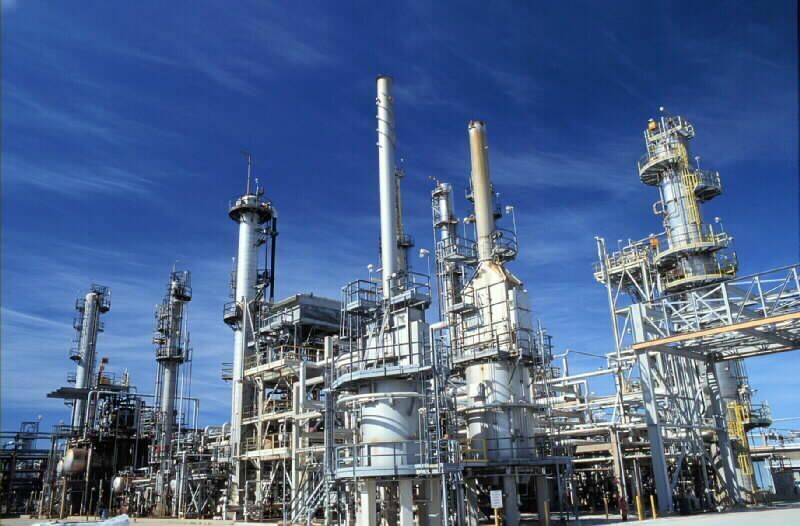 Suncor Energy Products Inc., operates this 70,000 barrel per day capacity refinery in Sarnia, Ontario. Sarnia refineries are a major destination for crude oil traveling through Enbridge's Lakehead Pipeline System, and are the endpoint for the Line 5 pipeline.Click image to enlarge. In order to get it to flow through pipelines, raw tar sands bitumen is diluted with natural gas condensate and then moved in heated pipelines under high pressure. The study asserted that the higher temperatures and higher internal pipeline pressures can create gas bubbles within the pipelines, deform the metal, and lead to ruptures caused by pressure spikes. The NRDC and NWF reports also questioned the integrity of aging pipeline infrastructure—much of which was constructed more than 50 years ago. 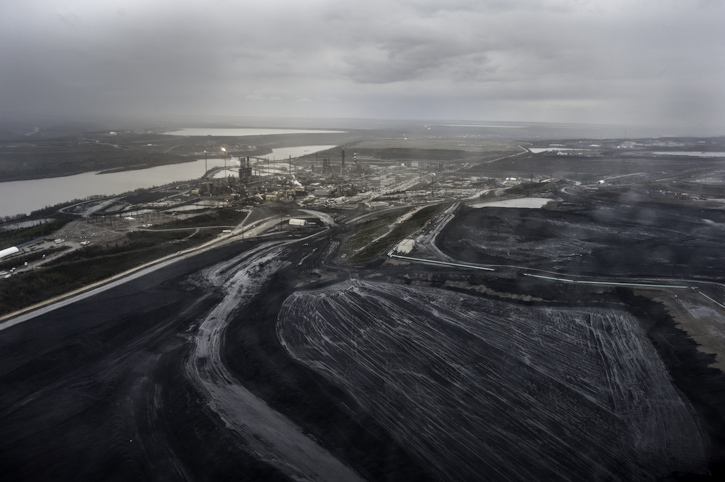 All three studies come amid a two-nation $US 31 billion pipeline modernization and expansion blitz by the oil and gas industry to handle the flood of new fuel, and to ship tar sands oil from Canada to the U.S. The Arkansas and Michigan disasters provide a clear view of the threat to some of the nation’s most important freshwater resources—the Great Lakes and the Ogallala aquifer—where Enbridge’s Lakehead Pipeline System and TransCanada’s Keystone XL Pipeline have sparked particularly intense debate. The U.S. has more than 275,000 kilometers (171,000 miles) of onshore hazardous liquid pipelines, which move crude oil, natural gas, and petroleum products. Pipelines have become a focal point in the national debate over tar sands and public safety—in part because of the environments they traverse and also because high-profile spills have brought attention to their risks. Increasingly, the pipelines have been carrying crude oil from Canada, which is in the midst of an energy boom fueled by Alberta’s tar sands. Annual U.S. imports of Canadian crude have nearly tripled in the past 20 years, growing from 328 million barrels per year in 1993 to 881 million barrels per year in 2012, according to the U.S. Energy Information Administration. The booming production of crude oil from Alberta, Canada's bituminous oil sands is driving extensive pipeline expansions that will carry more of the crude to U.S. refineries. In the Great Lakes region, Enbridge's Lakehead Pipeline System is the primary transporter of diluted bitumen crude. Click image to enlarge. Enbridge, Canada’s largest transporter of crude oil, operates a 3,000-kilometer (2,000-mile) pipeline network, known as the Lakehead System, that carries crude oil from Canada to refineries on the Great Lakes. Lakehead, in conjunction with Enbridge’s Canadian Mainline, transports 2.5 million barrels of oil per day, of which 541,000 barrels per day flow through Line 5—the subject of growing public scrutiny. Line 5 runs from Superior, Wis., to Sarnia, Ontario, and includes an underwater portion that crosses the Straits of Mackinac between Lake Michigan and Lake Huron. On Sunday, July 14, citizens are holding a noon rally in St. Ignace, Michigan, to draw attention to the pipeline. In 2010, Line 6B of the Lakehead System in southern Michigan did rupture near Marshall, Mich., causing the largest inland oil spill in U.S. history. Approximately 24,000 barrels (1 million gallons) of mostly tar sand crude poured into the Kalamazoo River watershed. The $US 1 billion clean-up is ongoing, and proponents of pipeline safety research point to the incident as impetus for further study of the effects of diluted bitumen on the environment—not just on the pipelines. In theory, this is true. In practice, the coatings used for older pipelines may exacerbate corrosion if they detach—or disbond—from the pipeline and allow water to contact the steel surface. This disbondment played a role in the pipeline rupture that caused the Kalamazoo River spill. Pipelines that travel underwater, like Line 5, also face a host of unique stressors, from currents to anchors, according to James Cross Sr. Cross’s business, the Utah-based Cross Marine Projects, has been engineering, installing, and repairing underwater pipelines and other marine infrastructure for 48 years. Water depth, currents, salinity, shipping lanes, bottom sediments and even fault line movements should—and can—be accounted for when designing and maintaining underwater pipelines, Cross said. And in the dynamic underwater environment, these variables can change over time. For example, one project that Cross’s team worked on was the replacement of a pipeline in Canyon Lands National Park. The old pipeline had been placed in a bend in a river, and the stronger current along the outer edge of the bend put pressure on the pipeline until it leaked. Bill McKibben, a leading environmental activist and the founder of 350.org, will be the keynote speaker at Sunday's rally in St. Ignace. 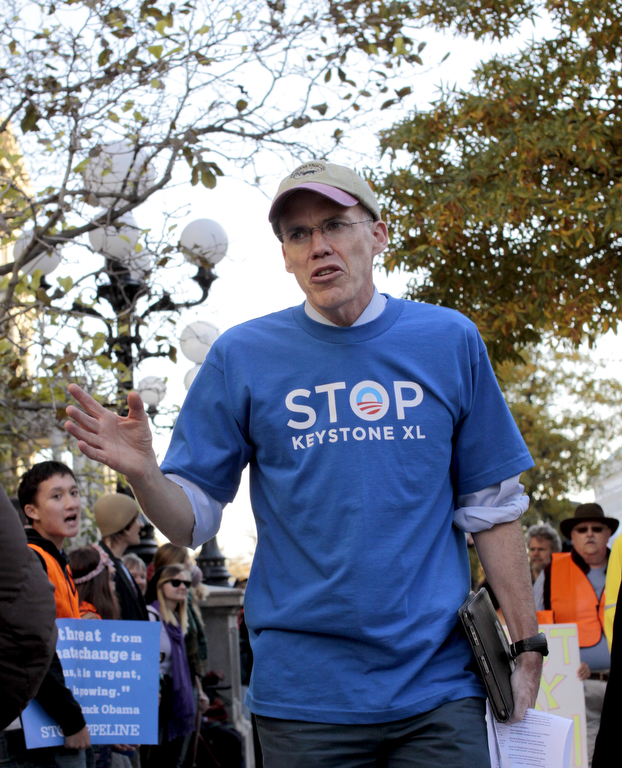 Here, McKibben speaks at a Keystone XL Pipeline protest at the White House in November of 2011. Click image to enlarge. Pipelines can fail, though, when faced with changing conditions. Such was the case in a 2011 oil spill along Montana’s Yellowstone River. Floodwaters eroded the banks and sediments burying an oil pipeline that traversed the river, exposing it to damaging debris that ruptured it. One method used to check the integrity of underwater pipelines, he added, is pressure testing. Pipeline operators temporarily reroute materials and instead fill the line with pressure to detect leaks. While currents play a role in the construction and maintenance of underwater pipelines, they are also an important factor to consider in the event of an oil spill. To see how oil or other contaminants might spread in the complex currents of the Straits of Mackinac, researchers at the National Oceanic and Atmospheric Administration’s (NOAA) Great Lakes Environmental Research Laboratory (GLERL) are developing a hydrodynamic model that can forecast currents in real time. “If something goes into the water, we want to be able to ask: Where will it be in 2 hours, 5 hours, 3 days from now?” Eric Anderson, NOAA’s lead researcher on the project, told Circle of Blue. In the Straits, this can be tricky to predict. Additionally, the currents change direction every 1.5 days, so that water flows from Lake Michigan into Lake Huron one day, and then from Lake Huron to Lake Michigan the next day. In a worst case scenario, these factors could work together to spread a spill greater distances in a shorter amount of time. NOAA observations found that a spill would likely follow the coastline of Michigan’s Lower Peninsula in Lake Huron, while it would follow Michigan’s Upper Peninsula in Lake Michigan. Thanks for the good reporting on the risk from pipeline technology. Clearly Michigan and the Great Lakes are at some great risk from the extensive 2,000 miles of pipeline in the Lakehead System. I am especially curious about what the public benefit is (tax revenue, jobs, amount of energy produced) from these pipelines, and what the economic return in profit is for Enbridge. I have a sense that the public is bearing a disproportionate risk to our drinking water, tourism industry, fishery, and general health and well being in exchange for profit going to a Canadian company. Could you also help us follow the money?